McFadden is equally emphatic every time she repeats her claim. There is never any question – in her mind – as to what these are. McFadden quickly explains this away by claiming that these “white noise makers” were placed above all of the areas marked off for states that are protesters or “rabble-rousers”, as she refers to them. A couple of things immediately jump out, at least to me: 1) These two objects are different shapes. 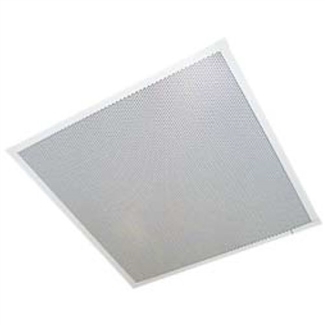 The object spotted at the DNC is a rectangle with chamfered edges while the Valcom speaker is a square, meant to fit into drop ceiling. 2) They’re also different colors. The Valcom speaker is white while the object seen in the video is a solid grey color. The Wells Fargo Center is consistently a top 10 venue in the U.S. It hosts more than 400 events annually and seats more than 20,000 fans. It is also the home of the Philadelphia Flyers and the Philadelphia 76ers. As a centerpiece of innovation, the Wells Fargo Center also features an impressive range of digital advancements, including 350 Wi-Fi access points and 700 beacons using Cisco hardware and XFINITY WiFi to create faster-than-ever arena connectivity. As mentioned above, I removed everything after this first question. Because it was stupid, the entire comment is completely irrelevant, and I can. No one is missing anything anyway… trust me. I left this in (rather than trash the whole comment) as I found it funny that Hillary (who I never claimed to support, but let’s be real) is being held responsible for her husband’s serial adultery while her husband – the serial adulterer – completed two arguably very successful terms as president. And Hillary’s opponent – who Ronnia here is suggesting we vote for – is an admitted serial adulterer himself. Can’t make this stuff up, I guess.